... in the making from Thailand. ... near Dawei, just relaxing. ... on Bilu Island, near Mawlamyine. ... a must not only for Buddhist pilgrims. Note: This tour can also start from Yangon. You will be picked up from your hotel in Kanchanaburi and transfered (1 hr) to the newest of all border crossing between Thailand and Myanmar. After a smooth and quick immigration process you will be on your way to Dawei (4 hours) on roads, which didn't exist before. Lunch will be in a local restaurant along the way (own account). After arrival at Dawei transfer to your hotel. Dawei is the capital of Tanintharyi Division in the south of the Myanmar, formerly known as Tavoy. Dawei was one of the first cities, where the English settled after the 1st Anglo-Burmese in 1826. As a result the town has a long lasting history and picturesque buildings from the colonial times. In the evening we will visit Paya Gyi museum and glamorous Shwe Taung Sar Pagoda. The museum displays a collection of bronze coins, vase’s, portraits and large wooden ancient Buddha images. 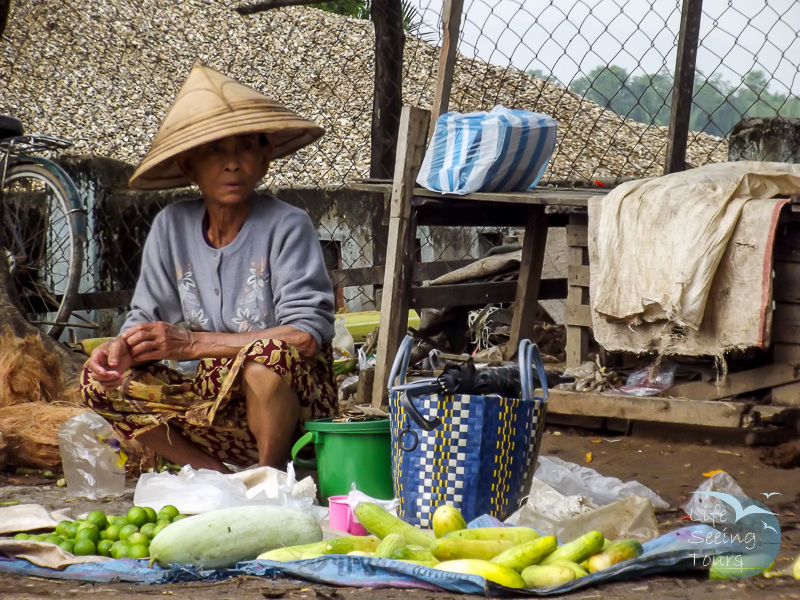 This vivid tour will explain to you why Burmese men “stain” their teeth red and why Burmese women “paint” their faces yellow. After a short excurse into history we can understand why people in Dawei seemed wealthier than other regions. Furthermore you get to know the magnificent colonial architecture. We visit some of the local business and see how life works in that city. We will talk about power and water supplies and rubbish collections. During our trip we will have a taste of the regional cuisine. In the afternoon we will be on our way to the well-known Maung Ma Gan Beach. Enjoy the relaxed and uncrowded beach atmosphere with a sun downer and a delicious seafood dinner. Return to your hotel after a fabulous sunset. After breakfast we will start to drive towards Mawlamyine (320 km - min 7 hours). 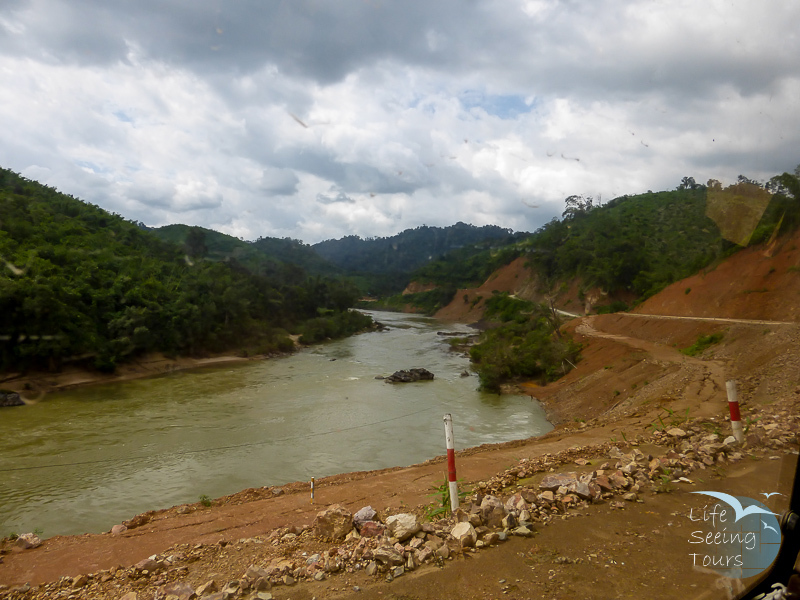 Our journey takes us over a stunning mountain range, which divides the Tanintharyi Division and the Mon State. About half way, we will stop at a local restaurant for lunch. Our first stop will be Banana Mountain, which is overlooking Ye and its river. A Buddha statue with its nine levels and nine different decorations is the well worth a climb. Further down the road we will stop in Thanbyuzayet It is located about 34 km from Mawlamyaing and starting point of the Death Railway connecting Myanmar (Thanbyu Zayet Station) and Thailand (Bang Pong Staion) with the Bridge over River Kwai, constructed by the Japanese during WWII. This Death Railways was started in September 1942 and official opened on 25th October 1943. There is a well-kept Allied War Memorial Cemetery where 3512 stone graves of POWs (1728 British, 1162 Australian and 621 Netherlanders) who died while building the “Death Railway”, Railway Museum and Japanese built pagoda in the memory of the perished Japanese engineers and POWs. After breakfast we are going to discover Southern Myanmar rural life by taking a 20 min long tail boat ride to Bilu Island, a pleasant island with 60 smaller villages that has been largely untouched by development. With a local pickup truck, we pass through rice paddy fields and beautiful villages. The cottage industry workshops show us how typical local crafts are made such as walking sticks, wooden pipes and pens. In the afternoon, we return to Mawlamyine and enjoy a Trishaw Ride or bicycle taxi, to visit the city’s highlights. The day ends with a sunset from the Kyaikthalan Pagoda, where Kipling’s poem once begins: “By the old Moulmein Pagoda, lookin’ lazy at the sea/ There's a Burma girl a-settin’, and I know she thinks o' me…”. After breakfast we leave for Hpa An, which literally translated means frog vomit. You will find out later. The bizarre lime stone formations and caves making it a great scenery. First we visit Lumbini Garden, which park is home to one thousand Buddha images with the majestic Mount Zwekabin in the back. The area has quite a few caves, but the most beautiful one is the Saddar Cave. we walk through an entire lime stone mountain range with our torch and coming back with a traditional wooden boat. We have lunch in down town Hpa An and continue to explore the Shweyinmyaw Pagoda near the Thanlwin (Salween) River, where we unveil the riddle about the frog vomit. On the way back we stop to visit the unusual Kyauk Kalap Pagoda situated on the top of a single lime stone mountain. It is your choice if you want to stay until sunset to see thousands of bats leaving their cave to find food or if you like to have a leisure afternoon in Mawlamyine. After breakfast we leave for Thaton. It was the capital of former Mon Kingdom and famous Thamanya Monastery is the home of one of Myanmar’s most revered monks. After lunch at a local restaurant, we continue to Kin Pun base camp to change our method of transport to an open truck. The ride is shared with local pilgrimage makers to Yathetaung base camp, located 500 Meter below the summit ridge. A further 1 hour walk up a partly steep hill on a paved road leads us to the summit. The Golden Rock, or Kyaiktiyo as the Burmese call is an amazing sacred boulder covered in gold leaf and balanced precariously on the edge of a cliff. Locals say that the Rock stays in place because of Buddhas hairs, which are in a shrine on top of it. Enjoy the colorful sunset over the mountain range and mingle with the locals, monks and pilgrims are happy to chat with you. A short walk back and you are at your hotel. If you like to watch the sunrise, don't miss out on this one (only possible if you stay at Mountain Top Hotel). After breakfast we will make our way towards Bago, one of most important archaeological sites in Myanmar and the ancient capital of Mon Kingdom. We visit the local Cottage Industry that produces intricate woven bamboo crafts. 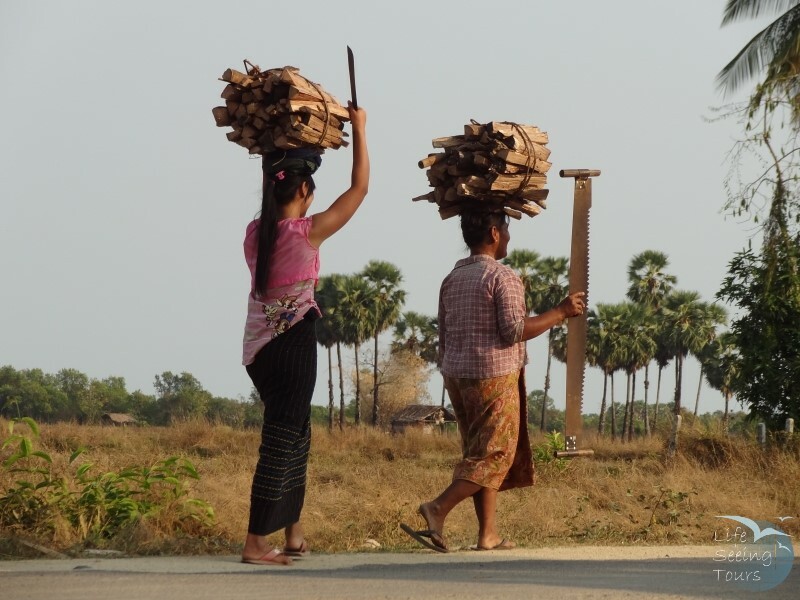 An attraction in Bago is the main market with a wide range of local products, especially wood carved items. After lunch at a local restaurant we visit the Snake temple. Buddhists throw money at the snake and quickly say a prayer before they leave. On the way to Yangon we visit a Nat Tree Shrine. Nat prays are still widely practiced and have been before times of Buddhism. In the late afternoon we arrive in Yangon at your hotel. We take you to the airport or wherever you like to go.